Heat a large skillet over medium-low heat and add in olive oil. Add in the onions, garlic paste, ginger, garlic, salt and pepper. Cook until softened, about 3 minutes. Add in meat, hoisin sauce, soy sauce, tomatoes and lime juice. Bring mixture to a boil and break apart meat as it cooks. Reduce mixture to a simmer and cook uncovered until the mixture thickens, about 20 minutes. 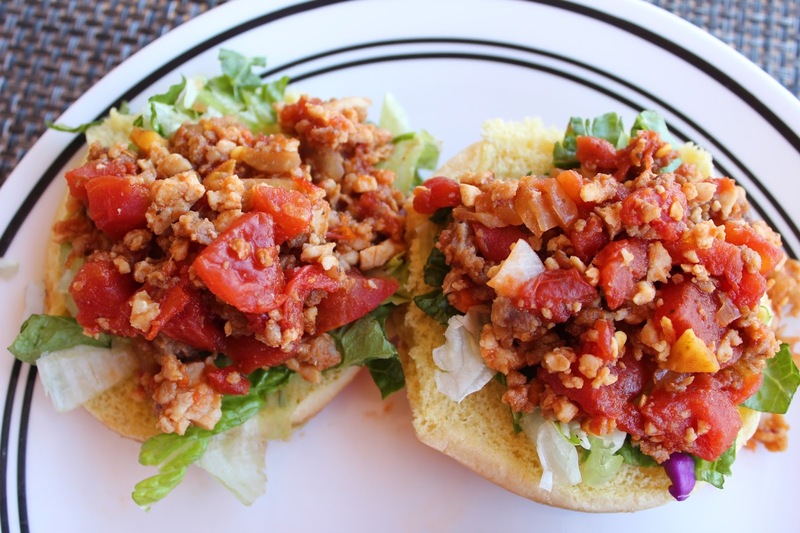 Serve the Sloppy Joes on the brioche buns, topped with both the broccoli slaw and napa cabbage.